DAVID LE/Staff photo. 3/5/15. 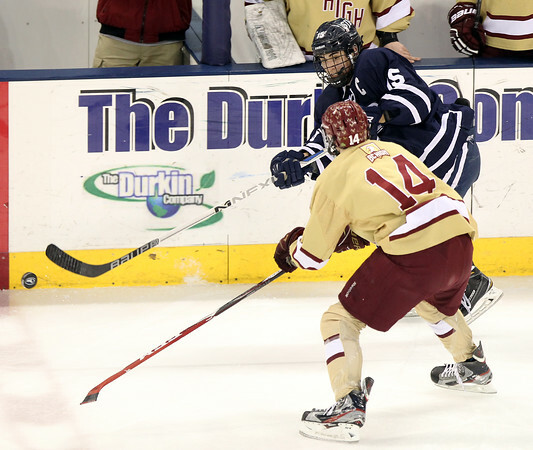 St. John's Prep senior captain Tyler Scearbo (15) makes a cross ice pass while being lined up by BC High junior Patrick Kramer (14).